North Texas’ housing market may be the only thing more torrid than the temperature outside. Sales of pre-owned homes jumped 27 percent in July from a year earlier to set a record. And median home sales prices were up 12 percent last month, according to the latest local home sales data. Dallas-Fort Worth home prices also hit a new high in a second-quarter nationwide comparison by the National Association of Realtors. “We have had significant prices increases for almost a year now,” said James Gaines, an economist with the Real Estate Center at Texas A&M University. “We are at the peak of the housing market in June and July. Real estate agents sold 9,397 pre-owned single-family homes in July in North Texas, according to a new report by the Real Estate Center and North Texas Real Estate Information Systems. That’s the largest one-month total for home sales ever recorded in North Texas. Gaines said some buyers are motivated by rising mortgage costs. “People are beginning to figure out interest rates are going to go up, and they are jumping into the market,” he said. Median sales prices in July were $185,000 in the almost 50-county area surveyed by North Texas Real Estate Information Systems. So far in 2013, real estate agents have sold almost 53,000 North Texas houses through the Multiple Listing Service. That’s 21 percent more than in the first seven months of 2012. On average, it took only 49 days to sell a house in North Texas. The inventory of pre-owned houses on the market fell 16 percent from July 2012 levels. There was just a 3.5-month supply of homes listed for sale with real estate agents. Dallas-Fort Worth home prices were 11.5 percent higher in the second quarter than they were a year earlier in the report, released Thursday by the National Association of Realtors. The D-FW increase was the largest in more than a decade in the quarterly metropolitan home price comparison. The national median price for pre-owned single-family homes in the second quarter was $203,500, compared with $181,800 in the D-FW area. The cities with the largest second-quarter price increases from a year ago were Sacramento, Calif., up 39.2 percent; Atlanta, 38.9 percent; and Cape Coral, Fla., 36.1 percent. 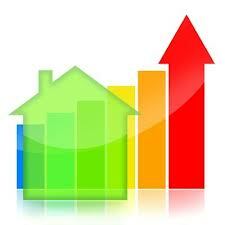 In Texas, the largest quarterly home price rise was Houston’s 12.3 percent gain from second quarter 2012. Most housing analysts are projecting some moderation in the housing market next year because of higher financing costs and the surge in buying in 2013.